Who are the “Other Magicians”? In the issue of Hermetic Tablet (Summer 2015), Jake Stratton-Kent has published an essay entitled, “The Other Magicians and the Goetia,” (adapted from an Internet post simply called, “The Other Magicians”), and I am about to spoil the hell out of it. It’s not that I want to steal Jake’s thunder, but I think this is a topic that needs discussion, and I’m not against shining my own spotlight upon it—especially since the subject matter has become rather important to my own path. But I don’t want to get ahead of myself, so let me begin with a bit of explanation. 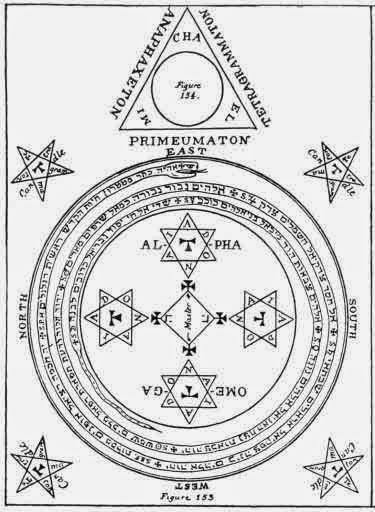 When modern students look at the most popular texts of classical Western occultism—such as the Key of Solomon, Lemegeton, The Book of Abramelin, Agrippa’s Three Books of Occult Philosophy, etc,—we often come away with the impression that they represent how magick was done at the time. 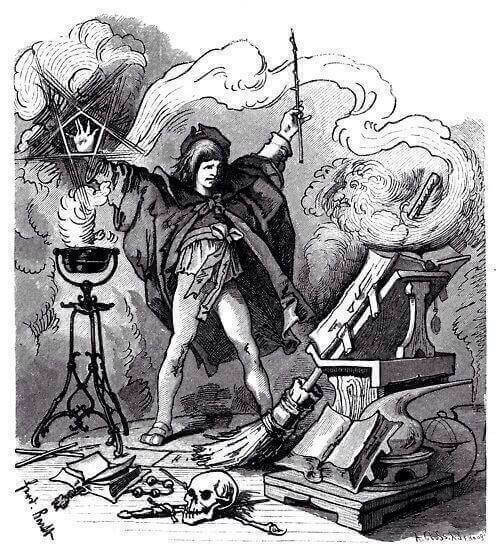 However, we can easily forget a rather simple fact: the medieval/Renaissance European grimoires only reflect how one specific group of occultists did their work. I talk about this at length in Secrets of the Magickal Grimoires, where I discuss the origin of the Solomonic tradition among a class of clerical exorcists. Without a doubt, the methods of spirit conjuration outlined in the Solomonic texts reflect this origin: the view of all chthonic and nature spirits as “evil,” the imperious and arrogant manner in which the spirits are addressed, and the harsh methods used to force the spirits’ compliance—all of this arises from a culture of people who spent their days casting out truly demonic entities of sickness and ill-fortune from their clients. As I stated above, these passages can make it appear as if each author was merely repudiating all of the other grimoires besides his own. However, as Jake points out in his article, the truth is a bit more complex. If we take all of the above quotes together (and these are only a few examples! ), we can see a common thread running through them: there was a specific group of “other magicians” out there. They are commonly called “sorcerers,” “necromancers,” and “witches,” and they are accused of employing evil and diabolical spirits to achieve their ends. Now, if you follow my work and/or that of Jake Stratton Kent, you already have an idea where this is headed. The word “goetia” is not merely the title of a late Solomonic text, but is in fact the name of a very ancient spiritual tradition. It originated with ancient Greek shamans (called goen) who became famous for their funeral services and magickal work with chthonic deities. Later, when the Olympian cult arose, the ancient magick was dismissed as an ignorant and primitive practice. As often happens when one cult supersedes another, the goen were demonized even as their practices were plundered for the newly urbanized religions. Thus were the “Western Mysteries” truly born—epitomized in such schools as the Eleusinian Mysteries. Given the effort taken by some authors to warn us away from them, we must assume these “other magicians” still existed in medieval Europe and were still doing their thing. Abraham the Jew, in the Book of Abramelin, gives us several anecdotes wherein he meets with these necromancers. A few of the grimoires, too, make no apologies for their goetic content: such as the Key of Solomon the King, the Grand Grimoire, Grimoirum Verum, the Goetia of Solomon, etc. Of course, all of the grimoires have elements of goetia woven into them—making the “non-sorcerous” texts look a hell of a lot like sorcery and thereby compelling their authors to loudly proclaim they “aren’t those guys.” In the grimoires, the goetic tradition is not a separate cult from the dogmatic Christian tradition, but is in fact a tradition hidden within the latter. One book (like the Key of Solomon) will freely tell us how to conduct rituals of necromancy, while another book will assure us such practices will mean the loss of our souls. So what were the necromancers and sorcerers doing that so offended the Catholic exorcists? Check out the passage from the Three Books… I quoted previously (see here). Therein, Agrippa reveals the mystery: the sorcerers were engaging in the same kind of “detestable and abominable filthiness” as Pagans worshiping Gods like Priapus and the Idol of Panor. That’s right! 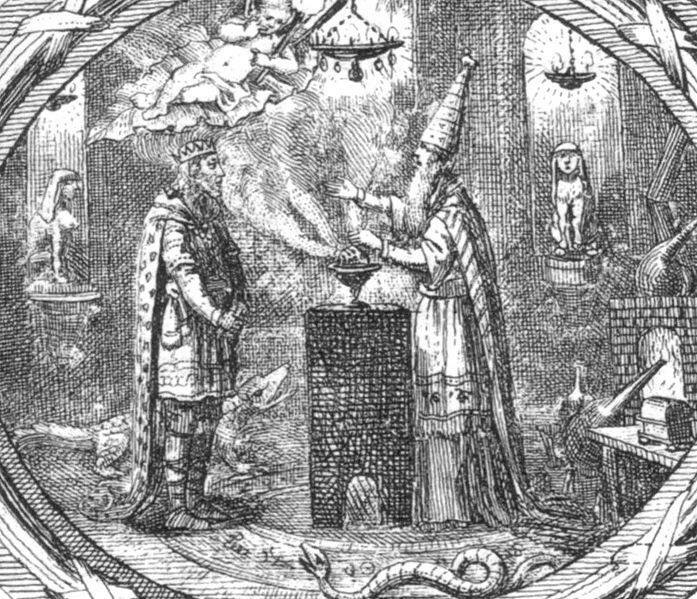 What makes goetia “evil” is the simple fact that it utilizes ancient Pagan methods of honoring the spirits, rather than treating them like infernal garbage as would a Catholic Exorcist. It is really nothing more than yet another example of the religious intolerance that characterized much of the Roman Catholic empire. It was evil only because it was Pagan. 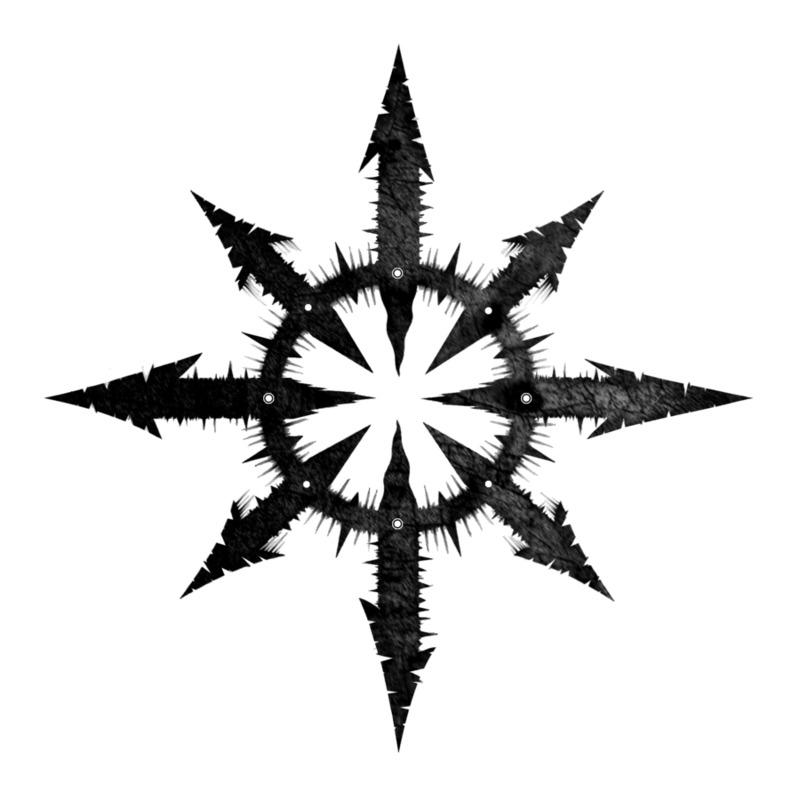 Rather than brow-beating the spirits and threatening them with torture and hellfire if they do not comply, goetia erects altars to them, feeds them with offerings, and enters into mutually-beneficial pacts with them. Where the later Solomonic magician approaches the spirits to conquer and rein over them, older methods called for establishing lifelong friendships with the forces of nature. And, of course, goetia does not conflate “chthonic” with “infernal”—and thereby does not classify all spirits of nature, Pagan deities, etc. as demonic. Not only does this give us further proof that goetic magick was still in use at the time, it also indicates that the sorcerers and witches were finding it much easier to invoke the very same spirits. In fact, some of the grimoires make a point of this, such as the Book of Abramelin, which tells us several times that the spirits will dislike being ordered around like slaves, but will “fly with haste” to serve those who employ the proscribed methods. We are told such methods will work, and very well, but that we must never avail ourselves of them. Why? Because we aren’t dirty Pagans! Jake suggests in his piece that these “kinder, gentler” methods are in fact the older methods, the ones that can be traced back to primordial sources like the goen, the Picatrix, and the Greek Magical Papyri (all Pagan). The blades and curses only came into the picture later, after medieval Roman Church dogma had taken its toll. These are the folks who re-classified the entire underworld as “Hell” and all spirits of nature to be “evil demons.” As I have stated many times in the past, the grimoires present a befuddled and broken cosmology—clearly an ancient Pagan worldview with a dogmatic Christian overlay upon it. They don’t match up very well, and that is because we are in fact looking at two traditions competing for space in the same books. Slowly but surely, modern occultists are re-evaluating our assumptions about “goetia.” Just a decade ago, the word was merely the title of a particular grimoire—an evil book that good magicians leave well alone. Now, we know it is in fact the name of an ancient spiritual tradition that underlies much of our Western mysteries. I believe we are currently witnessing a goetic revival—and I do not mean among so-called “left-hand path” and “demonolatry” types who are mainly interested in sounding dark and scary, and typically know little about the spirits they claim to invoke. I’m talking about the community of Old Magick practitioners who are coming to understand the true role of chthonic entities in the grimoires. And we know that this tradition continued to live on, in one form or another, until the time of the Solomonic grimoires and (now) even until today. Besides this, we are also coming to understand that goetia does not focus entirely upon the chthonic realm. For example, I work primarily with angels—yet I erect altars to them, give them food offerings, make pacts with them, and generally conduct myself toward them in the manner of a dirty, dirty Pagan. That’s goetia. And Abraham the Jew was correct—it does work better.